I want to share with you today a quick Christmas Treat. 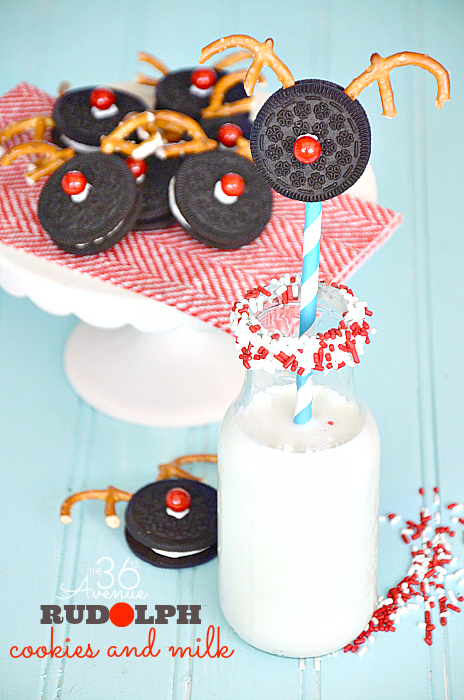 You can make this Christmas Snack in just five minutes and it is an adorable way to surprise the kiddos for breakfast or as a quick and easy after school snack. 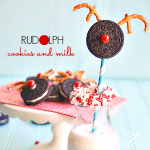 You have to see how their faces light up when they get to eat Rudolph’s Cookies and Milk! Isn’t it cute? If you are tired Christmas morning this is also the perfect breakfast solution. easy, and delicious Christmas breakfast. Come on! 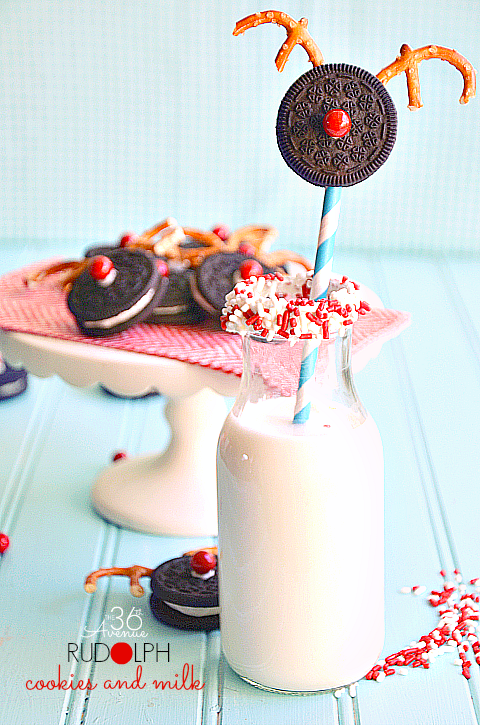 We all know how yummy Oreos and milk are! 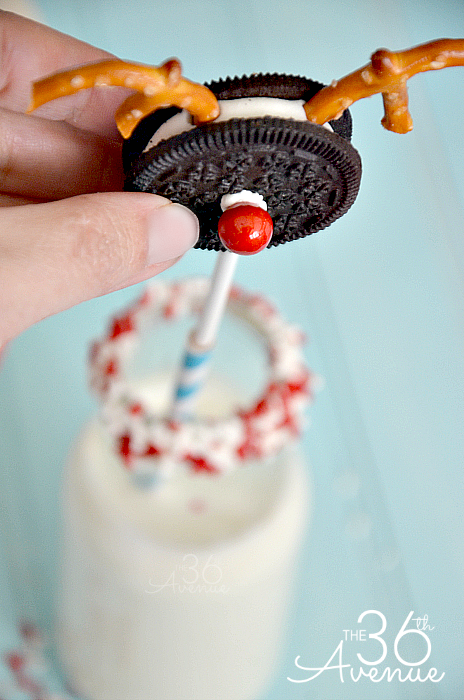 To make these Rudolph Cookies you are going to need double stuffed Oreos. 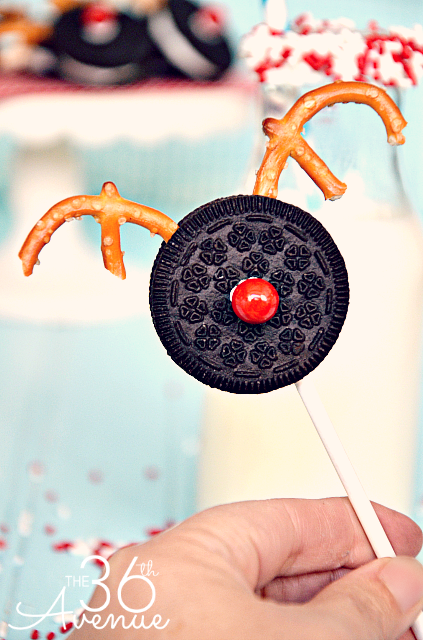 Break pretzels in half to make the antlers and then press them right into the Oreo. For the nose I used red Sixlets… They are the perfect size and so cute! 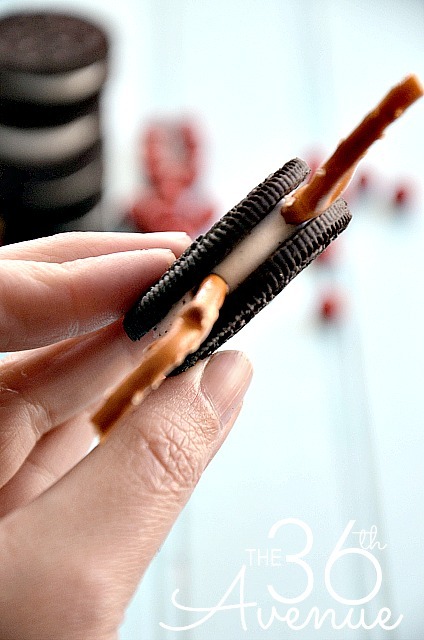 Add a little frosting to the Oreo and then stick the Sixlets right in place. You can use chocolate frosting to make it less noticeable. I like to serve some of the cookies on a popsicle stick. The rest of the cookies go right on a plate! For the mini DIY Bottle Tutorials click here. I dip the top of the bottles lightly in frosting to help the sprinkles stick. We love how festive they look! And just like that you are ready to go… Your kiddos are going to love you! 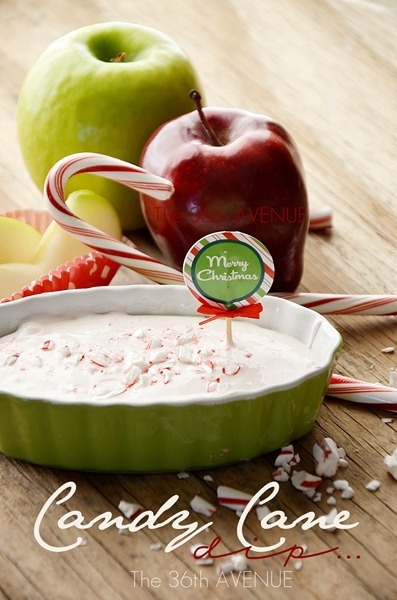 For more delicious Christmas Treats try our Candy Cane Dip Recipe. 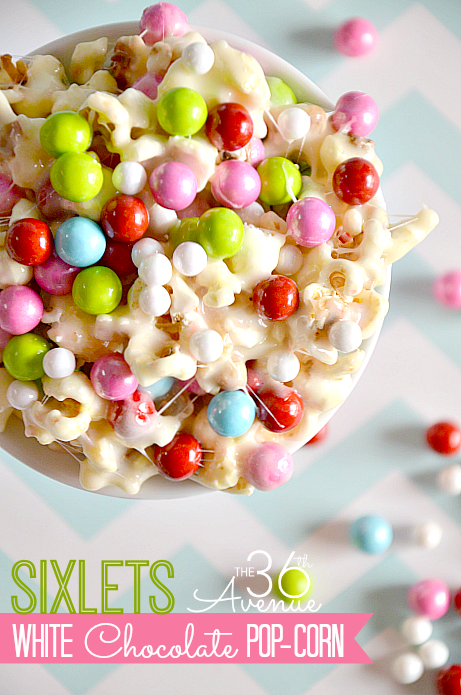 …and our colorful and festive White Chocolate Popcorn. 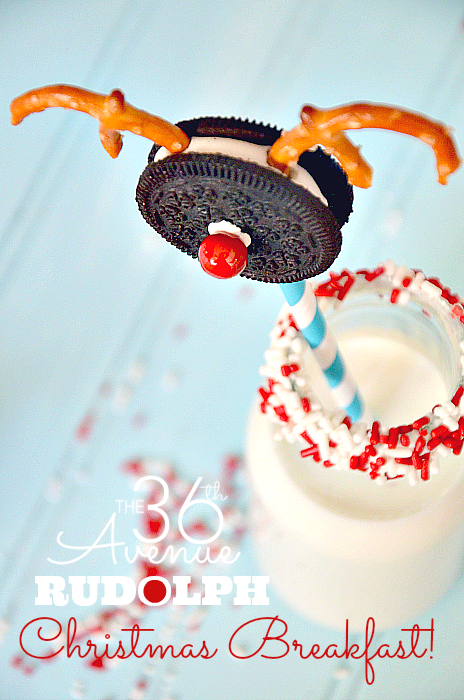 Also before you go make sure to check out these 25 Edible Neighbor Gifts. 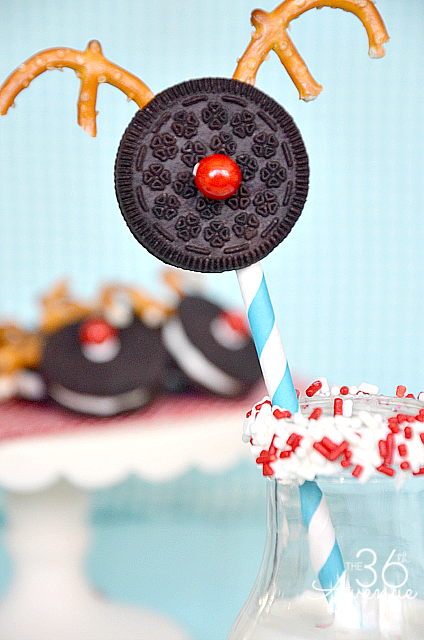 Super fun, yummy and cute ideas! Happy day my friends and Merry Christmas! These are so cute! I just love them!! TOO cute, Desiree! I just adore these….pinned!! Super cute! Thanks for sharing! Pinned 😉 Merry Christmas!! Thank you of stopping by and Merry Christmas to you! You are so sweet… Your comment made my day! Besos! Where did you get the drinking glasses? Oh my goodness- soooo cute!! Thank you sweet girl… Love you! Desiree, how cute is this? I want that breakfast! 🙂 I hope you had a happy weekend and this is a wonderful Monday morning smile – thanks for sharing. Pinning! Have a merry day!